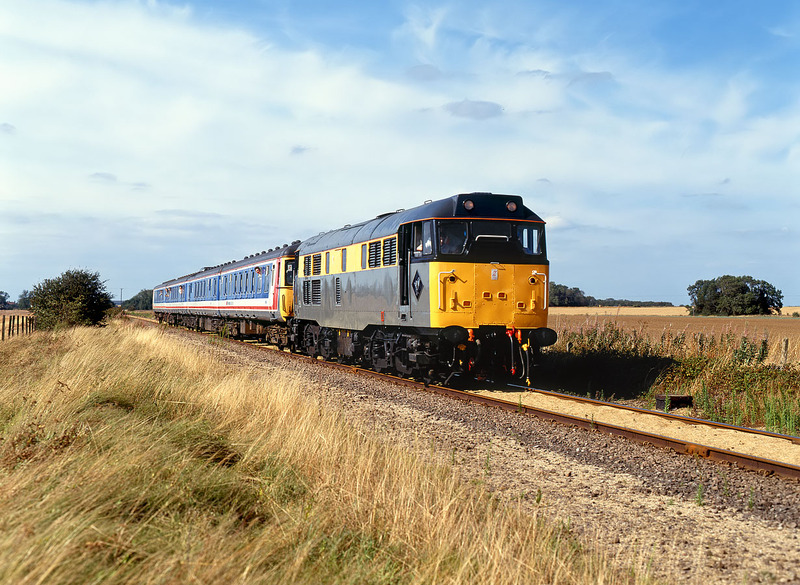 31135 slows to a crawl so that a member of the train crew can open the level crossing gates at Histon on 14 September 1991. The train is returning from Fen Drayton to Cambridge, during the Network Gala Day. Bizarrely the stock is 25kV EMU 312787. The neat line of sand deposited in the 'four foot' clearly indicates why this rural byway was kept open. Sadly it was not to last much longer, closing the following year. After lying abandoned for years, it is, a I type this (December 2010) just about to open as a guided busway - a remarkable and slightly dubious transition.